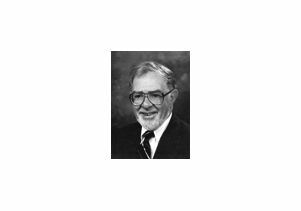 Marvin Hoffenberg, professor emeritus of political science, died Sunday, Dec. 30, at age 98. Marvin Hoffenberg was born in Buffalo, New York in July 7, 1914. He attended Ohio State University where he received his bachelor's degree in 1939 and a masters degree in 1940. He completed his course and residence requirements in social statistics for a Ph.D. in 1941 from Ohio State University before being lured away at the beginning of World War II to join the Roosevelt administration to become a new deal economist at the US Department of Labor were he served from 1941 to 1952. He served as a consultant at the U.S. Mutual Security Agency/Europe (Marshall Aid Program Mission) in Paris in 1952. After the war, he became an economist at the RAND Corporation and served there from 1952 to 1956. He became director of research at the Economic Consulting Department, DeVegh & Co. in 1956 and staff economist for the Committee for Economic Development in 1960. He was then hired as project chairman at John Hopkins Universities Operations Research Office, which later become the Research Analysis Corporation, from 1960 to 1963 prior to working as the director of the Cost Analysis Department at the Aerospace Corporation from 1963 to 1965. In 1965 Hoffenberg was hired at UCLA as a research economist at the Institute of Government and Public Affairs. He became a professor-in-residence at the UCLA School of Public Health from 1967-72 as well as a lecturer for the UCLA Department of Political Science from 1967 to 1970. He became a professor-in-residence there from 1970 to 1986. Over his career Marvin Hoffenberg authored numerous publications on a variety of issues in the broad field of economics and public policy. In 1985, he became one of the founders in creating the annual John C. Bollens lecture and has served on its planning committee. In 1991 the Bollens lecture became the Bollens-Ries lecture. In 2005 the Bollens-Ries Lecture Executive Committee honored him for his many contributions to UCLA and the political science department by adding his name to the lecture series. His close connection to the political science department continued with the establishment of the Marvin Hoffenberg Chair in American Politics and Public Policy. "Marvin worked widely in public policy and economics, often in areas related to economic policy-making, including, for example, a 1959 volume on inter-industry demand co-authored with Kenneth Arrow," said Jeffrey Lewis, department chair, in an email to the faculty. "We have lost today one of our greatest champions. We extend our deepest sympathies to Marvin's wife, Betty, and sons David and Peter." The lecture, which carries Hoffenberg's name, will be held Jan. 17 at the Faculty Center. "The Passions and Politics of Ed Edelman: an Untold Stody of Leadership in Los Angeles" is being sponsored by the Department of Political Science, the Luskin School of Public Affairs and PBS SoCal. To read more about his achievements, go here.